Awesome exposure and really great atmosphere. Those clouds really make for a great image. 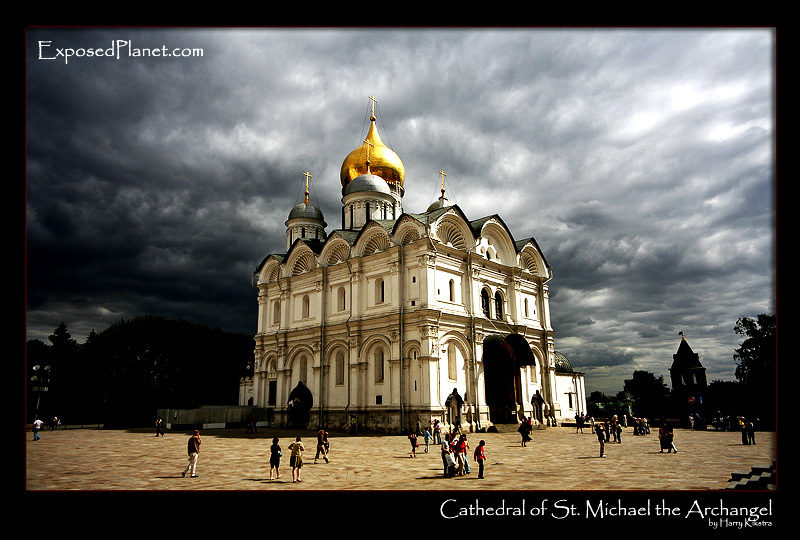 The story behind "Cathedral of St. Michael the Archangel in the Moscow Kremlin"
While the St Basils Cathedral I posted a few days ago is often mistaken for the Kremlin, this Cathedral of St. Michael the Archangel is actually within the walls of the Kremlin complex, together with a few other cathedrals as well as the government buildings. In the afternoon, dark clouds came up, but the setting sun managed to still light the cathedral, creating this wonderful scenery.